All aboard the best Trackless Train Rentals you are going to find in the area. 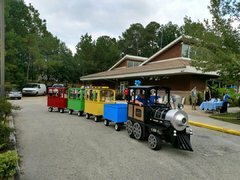 A trackless train rental from Carolina Fun Factory promises to be the best attraction for your next event. Bring the crowd together with a trackless train rental for a train themed birthday party as well as a fun ride that kids and adults can enjoy at a big event. 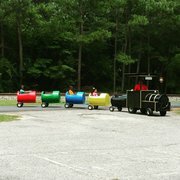 No company picnic or school event is complete without a trackless train rental from Carolina Fun Factory.